Multiple-tube humidifiers are available in a range of sizes for short to moderate non-wetting distances. Multiple-tube humidifiers are field-piped and assembled. 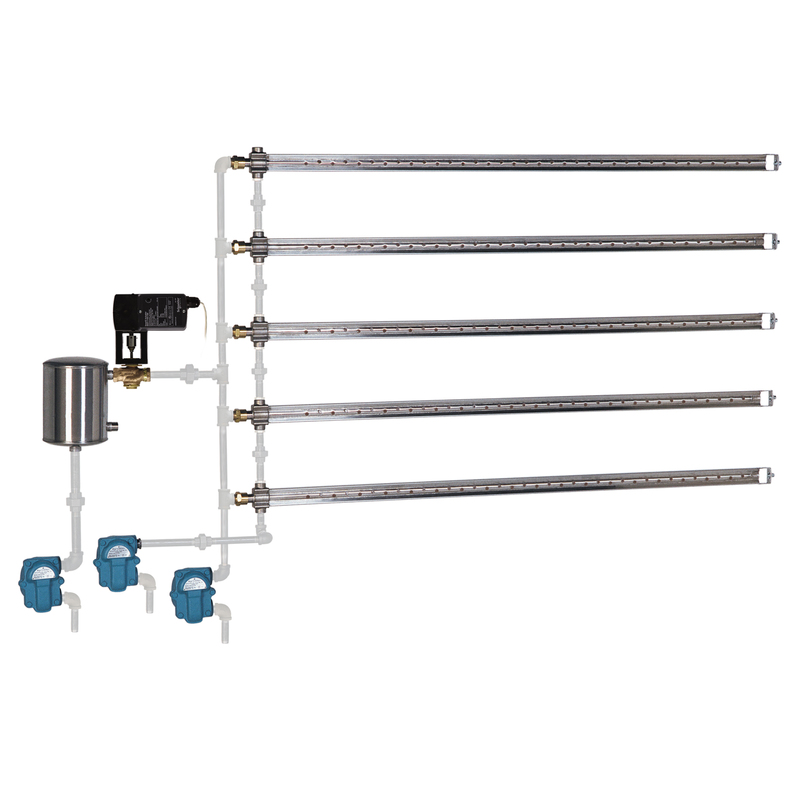 Multiple-tube humidifiers with the Maxi-bank® option ship completely assembled and ready for installation, with a stainless steel header and black iron interconnecting piping.